In 2014, Ivanhoe state member of Parliament, Anthony Carbines, stood with the Wilderness Society in a decimated area of iconic, Victorian bushland. 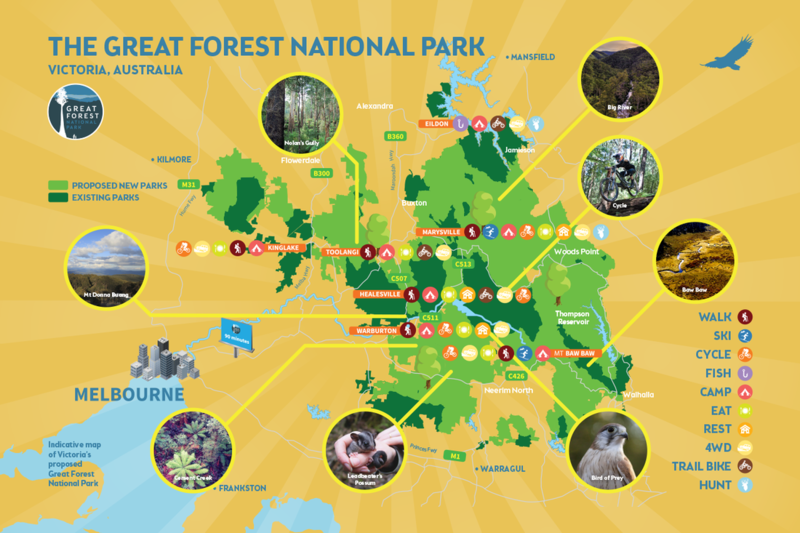 But despite four years in office, the Andrews Labor Government still hasn’t stopped the logging, protected these forests or created the Great Forest National Park²—a new nature playground right on Melbourne’s doorstep. Australia desperately needs leadership on projects for the long-term. In two weeks, there’s another state election in Victoria. Mr Carbines holds the seat of Ivanhoe for Labor by a margin of just over 3%. With such a small margin, this is an opportunity to pile the pressure on. 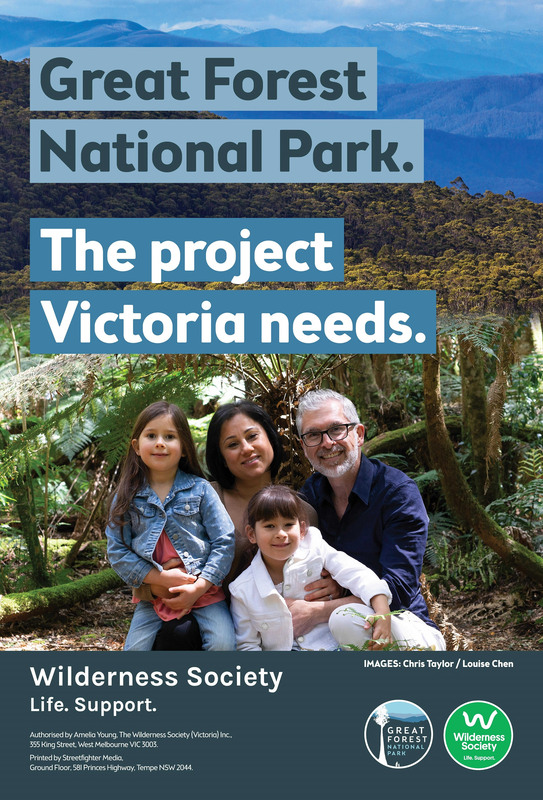 It’s time for Labor to deliver the project Victoria really needs: the Great Forest National Park. Join us at one of our upcoming events in the electorate of Ivanhoe! For more information, please contact Mallory Pryde at mallory.pryde@wilderness.org.au or on 9038 0851. 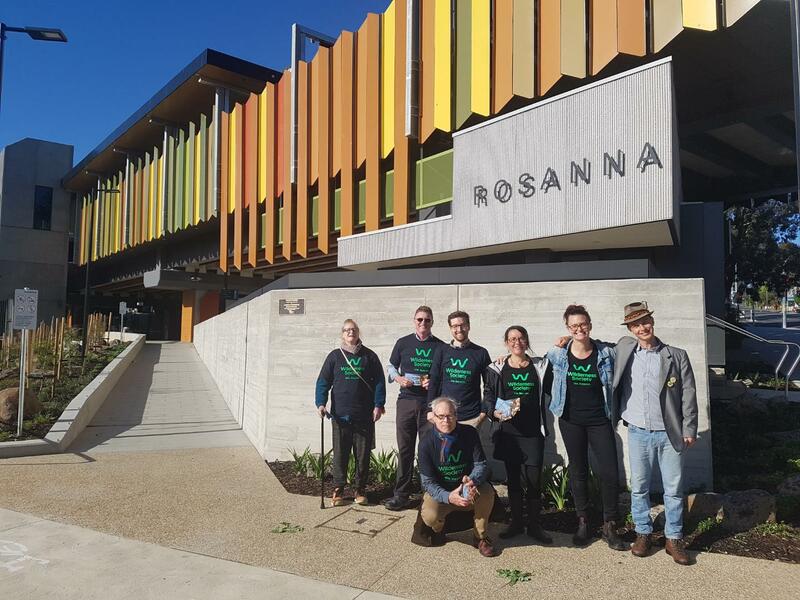 For an overview of the value and benefit of ecosystem services within Victoria’s current parks estate, please see: https://parkweb.vic.gov.au/__data/assets/pdf_file/0010/695764/Valuing-Victorias-Parks-Report-Accounting-for-ecosystems-and-valuing-their-benefits.pdf The current state government recognises that: “Healthy nature sustains our life, livelihoods and liveability. Conserving parks for present and future generations provides inspirational and therapeutic settings that foster lifelong connections with nature and each other.” from A Guide To Healthy Parks Healthy People, Parks Victoria, March 2017, available at https://parkweb.vic.gov.au/__data/assets/pdf_file/0008/693566/Guide-to-Healthy-Parks-Healthy-People.pdf). Authorised by Amelia Young, The Wilderness Society (Victoria) Inc., West Melbourne.